(ME ’46), Shelby Township, Mich., enjoyed 50 years as a research engineer at Chrysler Corporation, then retired and began writing historical fiction stories based on his family's journey from New York to western Michigan in the early 1800s. Two books have been published and the third is in process. (ME ’47), Marco Island, Fla., is working with colleagues to produce an efficient hydraulics energy-generating system. (BE ’48), Huntington Beach, Calif., was inducted into the 2015 Huntsman World Senior Games Hall of Fame in St. George, Utah. Schmidt has been a swimmer for most of his life as a lifeguard, an American Red Cross swimming instructor, and a member of the United States Navy. He has participated in the Huntsman World Senior Games for 18 years and has won many events, collecting more than 100 medals (96 of them gold). Schmidt holds records in the 85–89 age group in the 200-, 800-, and 1,500-meter freestyle. He also holds records in the 90–94 age group in the 200-, 400-, and 800-meter freestyle. He is now a spokesman for Speedo, was featured in the online video campaign ”Fueled by Water,” and has been featured in USA Today. (ME ’49, Ph.D. UNK ’58), Lyndhurst, Ohio, started a blog featuring former Armour Research Foundation/IITRI colleagues as a way to keep in touch. Those interested in joining or participating can log in to www.graybeardblog.com using the password Gbeard_ or send a note to esevin@ameritech.net. (CHEM ’50), Tampa, Fla., was awarded a 2017 Légion d'Honneur medal for his service in World War II. (MET ’56), Palo Alto, Calif., has been active in community affairs by preventing unwanted neighborhood development, gaining more support for local libraries as a member of the City of Palo Alto Library Advisory Commission, helping to pass a $76 million library construction bond, and helping to stop office spaces from replacing retail in commercial areas citywide. (EE ’59), Sedona, Ariz., served as a U.S. Air Force lieutenant, worked for Bell Labs, and was an engineer and district manager at Illinois Bell. He retired in 1995 and relocated to Sedona the following year. He married his wife, Justine, in 1966 and they have two children, Ruth and Jon, and two grandchildren, Luke and Lucie. He is director at the Arizona branch of The Nature Conservancy, has volunteered at Friends of the Forest, and is chairman of Keep Sedona Beautiful, Inc.
(BE ’60, M.S. ’60), Lewes, Del., published the memoir Journeys of Hope and Reality describing his international work in sustainable development on behalf of cooperatives in Indonesia, El Salvador, Niger, Mali, and other places in the 1990s. He conducted a book signing in August in Rehoboth Beach and has received positive feedback from the Peace Corps and the U.S. Agency for International Development. (CHE ’61), Las Vegas, developed a mathematical model to aid diabetics by predicting blood glucose values based on exercise, food intake, and medicinal data. He has also applied knowledge in engineering and sciences to aid resolution of legal cases as an expert witness. (ARCH ’62), Summerfield, Fla., worked for Ludwig Mies van der Rohe until his death in 1969. Anderson has designed 45 Lutheran churches across the country and considers Open Bible Lutheran Church in The Villages, Florida, as the most beautiful. He and David Swan (ARCH ’62) have worked on many projects together. (PS ’65), Bristol, R.I., spoke to a meeting of the Photographers' Guild of the Newport Art Museum about his interests, which he developed during his undergraduate years. Since retiring as an Oracle database specialist for the State of Rhode Island, Rotblat-Walker has widely exhibited his award-winning images in southern New England. (CE ’68), Clifton Park, N.Y., and his wife, Karen, are conducting research on roof snow loading. He is a structural engineering faculty member at Rensselaer Polytechnic Institute. (M.S. PSYC ’69, Ph.D. ’70), Chicago, continues to enjoy his clinical psychology private practice, counseling individuals and groups, as well as providing supervisory and consulting services. He frequently contributes letters and commentaries to various lay and professional publications. Hoffman continues his lifelong involvement in chamber music as a cellist. (LAW ’71), Decatur, Ill., is retiring after more than 36 years as a Macon County judge. During his time on the bench, he presided over civil, criminal, and family cases. (MAE ’71), West Bloomfield Township, Mich., retired in July from the U.S. Army Tank-Automotive Command in Warren, Mich., where he has worked since 1977. He has two sons and one grandson (and as of press date, was expecting another grandchild). (Ph.D. BIOL ’71), Bellevue, Wash., received the Alumnus of the Year Distinguished Achievement Award from the University of Maryland School of Dentistry. (BIOL ’73, M.S. ENVE ’74), Philadelphia, received the Dr. John L. Leal Award from the American Water Works Association for contributions to the field of water and public health. He also received the Athalie Richardson Irvine Clarke Prize from the National Water Research Institute for pioneering and applying methods to assess and minimize health risks caused by exposure to disease-causing microorganisms in water and wastewater. (PHYS ’73), Bolingbrook, Ill., an Argonne National Laboratory senior scientist, has been awarded the 2017 Distinguished Scientist Award for Physical Sciences by the Microscopy Society of America. (LAW ’74), Mount Laurel, N.J., has retired from his career as Burlington County prosecutor. He was one of the longest-serving county prosecutors in state history. (ME ’78), Santa Clarita, Calif., developed two Phase I concepts, greenlighted by NASA, that could set the stage for interstellar space travel. The Interstellar Precursor Mission, headed by Brophy, would see the construction of an orbiting 100-megawatt laser array with a 10-km diameter. The array would convert the laser power into electrical energy, generating enough power to enable long-distance travel of a conventionally sized spacecraft on a reasonable timescale. (LAW ’78), Carlinville, Ill., has opened his own law office after 24 years as Macoupin County state’s attorney. (MGT ’80), Winter Park, Fla., was named manager of managed care finance at Memorial University Medical Center in Savannah, Georgia. (MATH ’81), Adelaide, South Australia, has been awarded an Australian Laureate Fellowship for the Simons Center for Geometry and Physics program Mathematics of Topological Phases of Matter. (ME ’86), Fort Gibson, Okla., was recognized for his service to the Powder River Basin (PRB) Coal Users’ Group Board of Directors at the PRB Coal Users’ Group Annual Meeting. (M.B.A. ’88), Lihue, Hawaii, was the inaugural honorary degree recipient and commencement speaker at Pacific Oaks College and Children’s School in May. (Ph.D. ENVE ’89), Oakland, Calif., is a member of the inaugural Sustainability Accounting Standards Board. 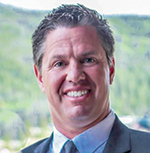 (AE ’89), Crested Butte, Colo., is president and chief executive officer of TRAILSOURCE.COM, Inc. He provides overall strategic management for the suite of sports-travel-oriented websites, including trailsource.com, snorkelingdives.com, myriverguide.com, and snowboardguides.com. Since 1997 he has provided direction for content acquisition, web development, search marketing, and financing. (LAW ’90), Chicago, was awarded Alumna of the Year by the Student Bar Association at the 2017 Bar & Gavel Awards Ceremony. She invited a group of students to observe oral arguments in two criminal cases during Alumni-Student ConneCKtions Week, and was elected to the Illinois Appellate Court in November 2016. (M.S CS ’92), Alameda, Calif., was a speaker at the Association of Strategic Alliance Professionals Tech Partner Forum. Held in June the one-day executive-learning event was called Collaborate at the Speed of Digital Transformation. (M.P.A. ’94), Chicago, is the regional affairs vice president candidate for the American Society of Safety Engineers. (LAW ’94), Chestertown, Md., is vice president for development and chief development officer at Florida Institute of Technology. (LAW ’94), Alexandria, Va., served as chief counsel of the Subcommittee on the Constitution of the U.S. House of Representatives and continues to represent clients in telecommunications, higher education, and health care. He helped to direct the congressional and regulatory efforts involving the acquisition of Sprint by SoftBank in 2013 and to resolve the Medicaid disproportionate share hospital funding issues for safety net hospitals in the nation’s capital. At Carmen Group, Inc., Ladd also led Hurricane Katrina federal funding relief efforts for four Historically Black Colleges and Universities located on the Gulf Coast. (LAW ’94), Chicago, joined Greensfelder, Hemker & Gale as an officer in the Litigation Group. (MATH ’98), Poway, Calif., is a proud survivor of epithelioid hemangiothelioma and thyroid cancer. (LAW ’98), San Diego, received the Stetson University College of Law Young Coach of the Year Award. He coaches trial advocacy at Thomas Jefferson School of Law. (LAW ’00), La Grange Park, Ill., established the law firm Holy & Schultz in Naperville. The firm focuses on civil litigation and trial work, particularly in the areas of professional malpractice, employment law, health care, general liability, and commercial litigation. (LAW ’01), Hyattsville, Md., has been promoted to director of national action plans for Inclusive Security, where she helps countries develop strategies to implement their commitments to women, peace, and security. Young has also designed and led workshops for the U.S. Department of State on integrating a gender perspective into foreign policy and on development and diplomacy in the Philippines and Myanmar. With her recent trip to Moldova, she reached her goal of traveling to 40 countries by the age of 40. (M.S. CS ’02), Naperville, Ill., a researcher at Argonne National Laboratory, was recognized by the office of the U.S. Secretary of Energy for helping to predict precise therapies for specific cancer patients. (M.S. MCOM ’02), San Diego, is founder and chief executive officer of Invested Advisors, a management and consulting company in the San Diego area. (CS ’03), New Delhi, India, is founder of Bira, a craft beer company launched in 2015. (ARCH ’03), Chicago, has been promoted to associate principal at Perkins+Will. (LAW ’04), Chicago, was reappointed by Governor Bruce Rauner and confirmed by the Illinois Senate to serve another three-year term as an arbitrator at the Illinois Workers' Compensation Commission. She was first appointed by former Governor Pat Quinn in 2011. Flores also serves with various organizations focusing on diversity, education, and student mentorship. (M.Des. ’04), Palo Alto, Calif., is head of strategy at Waggl, a crowdsource employee-feedback company for organizations. She will define and scale Waggl’s business through innovative partnerships and positioning, as well as strong internal processes to support rapid growth. (LAW ’04), Gurnee, Ill., was elected to serve a six-year term on the College of Lake County Board of Trustees. (AE ’05, M.S. FIN ’07, Ph.D. MAE ’11), Williamson, W.V., was appointed superintendent of Roane County Schools. (LAW ’07), Chicago, is an immigration attorney who heads her own practice, McEntee Law Group. She is a member of the O’Hare International Airport team of lawyers assisting refugees and immigrants and of a litigation team challenging Executive Order 13780/Travel Ban 2.0 in the Northern District of Illinois. Named to the Super Lawyers “Illinois 2017 Rising Stars,” McEntee has received international recognition for her work in immigration, including being named to the Irish Voice’s “Irish Legal 100” and the Irish Echo's “Top 40 Under 40.” Originally from Dublin, McEntee resides in Chicago’s Lakeview neighborhood with her husband and their two young children. (LAW ’07), Chicago, opened the firm Powell Law Offices. (LAW ’07), Chicago, was promoted to partner at Anderson, Rasor & Partners. (LAW ’09), Chicago, joined Dussias Skallas Wittenberg Koenigsberger as an associate. (M.A.R. ARCH ’09, Ph.D. ’17), Chicago, was awarded the 2016–17 Architectural Research Centers Consortium King Student Medal for Excellence in Architectural and Environmental Design Research for his doctoral research project entitled “The BioEnclos© Façade Panel: From Selection to Design, Assessment, and Beyond.” He aims to develop a façade panel composed of biopolymeric agri-based materials to replace the conventional curtain wall glass and aluminum panel in office buildings and to assess its impact on the environment and the building’s overall energy consumption, thermal performance, and structural stability. (FLW ’10), Chicago, joined Dussias Skallas Wittenberg Koenigsberger as an associate. (LAW ’11), New York, N.Y., was named associate general counsel at Foley & Lardner. (LAW ’11), Gaithersburg, Md., was promoted to senior patent attorney for AstraZeneca, where he manages all issues related to the company’s immuno-oncology portfolio. Previously he served as in-house counsel for AstraZeneca, and as patent agent and associate at McDonnell, Boehnen, Hulbert & Berghoff. (M.A.S. MAE ’14), Chicago, is chief executive officer of Hemotek Medical, Inc.
(LAW ’15), Chicago, is an associate at Fragomen, Del Rey, Bernsen & Loewy, where she assists large companies and their employees with a variety of U.S. immigration matters. Previously she served as a law clerk at Fragomen's New York and Chicago offices. (LAW ’15), Orland Park, Ill., recently relocated to Orlando, Fla., and joined the commercial real estate company Cite Partners as a retail investment sales director. (ARCH ’16), Chicago, a junior architect at IBI Group, won second place overall and first place as the Community People’s Choice Award (Architecture) for her app MAPALL in the FordMobilize New York Challenge. (BA ’17), Chicago, is a construction project manager with Blinderman Construction after completing a two-year internship with the company. (ME ’17), Chicago, was commissioned as a second lieutenant in the U.S. Army. Assigned to the U.S. Army Corps of Engineers, he is part of the Strike Brigade of the 101st Airborne Division. Henry was designated a Distinguished Military Graduate for ranking in the top 20th percentile of the national order-of-merit list. He married Gillian O’Byrne in June. (M.A.S. DSC ’17), Chicago, is working for AspenTech in Boston, aiming to create a world with zero breakdowns, zero casualties, and zero environmental hazards through the use of machine learning. (AE ’17), West Hills, Calif., appeared in the Los Angeles Daily News (May 14) article “For This LA Mother and Daughter, Work Is Rocket Science and Every Day Is Mother’s Day,” about how Osmer and her mother, Diane, are both scientists employed at Aerojet Rocketdyne. (ME ’17), Wheaton, Ill., was commissioned as a second lieutenant in the U.S. Army in May. Assigned to the Transportation Corps, he is part of the 101st Sustainment Brigade. Peterson married Rachel Steeves in May. (AE ’17), Wheaton, Ill., was commissioned as a second lieutenant in the U.S. Army in May and is a cyber officer. Yonke was designated a Distinguished Military Graduate for ranking in the top 20th percentile of the national order-of-merit list.